Credit Cards vs. Lines of Credit? One of our readers posed a question about using credit cards vs. lines of credit. He wanted to know if he would be better off arranging for a line of credit for renovations that he plans to do around his home. The total amount of expense being considered is $30,000 and he apparently has sufficient room on his credit cards to carry this amount, but would have to arrange for a line of credit from the bank. He is concerned about the amount of interest he might pay on any unpaid balance on his credit cards. 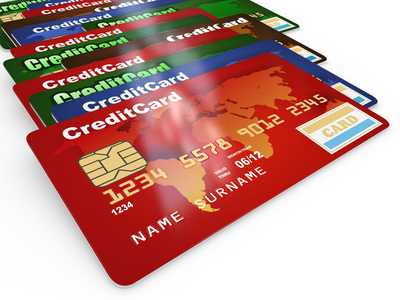 So which is better, credit cards vs. lines of credit? He makes sufficient income, has a great credit rating so should not have a problem being approved for a line of credit should he decide to go that direction. This is a great question since many people just use their credit cards and end up paying more interest overall which makes whatever they purchased that much more expensive. Credit cards can have interest rates as high as 18% for regular cards and 29% for store credit cards. Compared to a secure line of credit with the interest rate at prevailing mortgage rates, credit cards are not a good deal at all. Credit cards are a great financial tool to use to pay for many items as long as you pay the balance on your credit card every month. If you do not the credit card company will charge you interest on the unpaid balance of something in the order of 18% and all the way up to 28% approximately if it is a store based credit card. At these rates, it is not only expensive but it makes your item that you purchased also more expensive. A large project such as a renovation can add thousands of dollars in cost if you carry the balance for any length of time. We recommend that you charge the initial purchase to the credit card for convenience and to collect points if you have that type of card, but them pay it off on the due date to avoid extra interest charges. A line of credit is really a personal loan with some extra benefits. An amount of the loan is agreed to and approved. You can then draw on that loan any time you need to up to the approved amount and repay the loan anytime you want to as well. Usually the only requirement is that you pay the interest charges that accrue each month. You can repay principal if you want to or just pay the interest on a line of credit. As with all debt, use discipline and do not overspend your budget. This approach will minimize the total amount of interest that he will incur as part of his renovation project. Appreciate your questions, we will try to answer them here on our debt blog. i always use my line of credit to pay off my credit cards every month to avoid high interest rates on my credit cards. a line of credit is the only way to go , but you have to manage it just like any other debt.